It's a familiar story. A new technology—in this case, 5G—emerges with a vision for industry transformation, sporting numerous use-cases that have yet to prove their market worth. In the case of 5G, the story is more complicated. Countries including China and the United States vie for 5G leadership. These countries believe in the strategic importance of 5G: for national pride, internet dominance, and to foster domestic technology companies and their intellectual property. We believe that this skews the market perception for 5G and to an extent undermines the market forces that will ultimately determine its fate. When advocates promote 5G, they point to notorious industry trends. Mobile data traffic grows at a cumulative annual rate of between 40 and 50 percent. IoT connections increase annually by 25 to 30 percent and will continue to do so for the foreseeable future. Networks are taxed by video services, and new applications such as low latency command-and-control and augmented and virtual reality (AR/VR) are emerging. 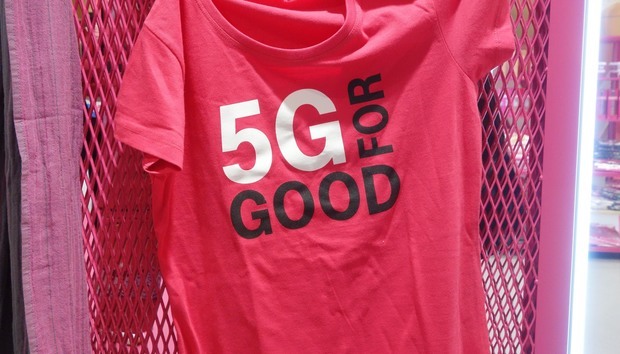 However, the skeptics question whether 5G is needed, particularly given the advancements in 4G and the lack of obvious revenue upside opportunities that can be specifically associated with 5G. 5G will be delayed in markets that lack radio spectrum. 5G is great at harvesting large tracts of greenfield radio spectrum, but it is only marginally more efficient than 4G. Only network operators with sufficient greenfield spectrum will have reason to deploy 5G for its marginal performance gains. Many 5G use cases rely on network virtualization. Although operators are virtualizing their networks, progress is slow and hindered by legacy operational models. The rate at which operators transform their operational models will determine pace of large scale network virtualization. Operators that pioneer 5G will initially focus on ultra-broadband services. These services align with existing offerings, are not encumbered by ecosystem complexities and do not necessarily require network virtualization. When one operator in a market deploys 5G, it is inevitable that its competitors will follow suit with similar market offers. Campus and local area solutions will enable services that cannot be supported by wide area 5G networks. Some services can be cost effectively implemented using campus or locally based deployments, rather than relying on wide area network (WAN) functionality. This is particularly the case for services that depend on low latency connectivity. We believe that local and campus based 5G networks will be relatively common and rely on 4G for wide area coverage. A notable example might be intelligent transportation solutions where 5G is embedded in vehicles and used in areas where 5G-WAN network coverage is unavailable. While it is inevitable that 5G will be deployed by network operators, we believe the industry is under-estimating the complexities and ineffectiveness of many of the use-cases and deployment scenarios proposed. We believe that this is distorting the assumed implementation scenarios for 5G and the associated standardization priorities. In addition, it creates confusion amongst the various industries that will ultimately incorporate 5G into their digital solutions. It is time for 5G pragmatism to come to the fore, the protracted timelines for fully fledged 5G solutions recognized, and early market opportunities clearly identified.